SocNetV v1.7 released with lots of goodies! 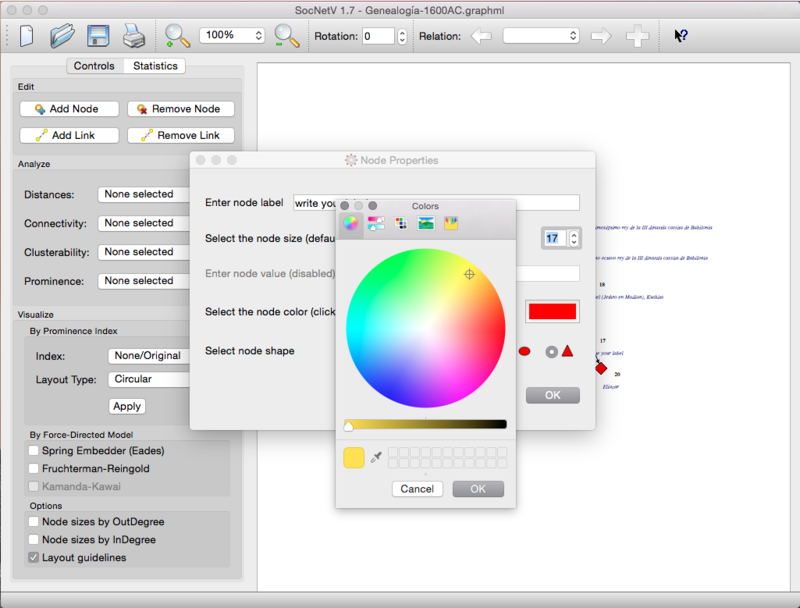 Up to now, when you wanted to edit a node you had to right click on it and select a single property to edit (color, label, etc). That was awfully user-unfriendly. 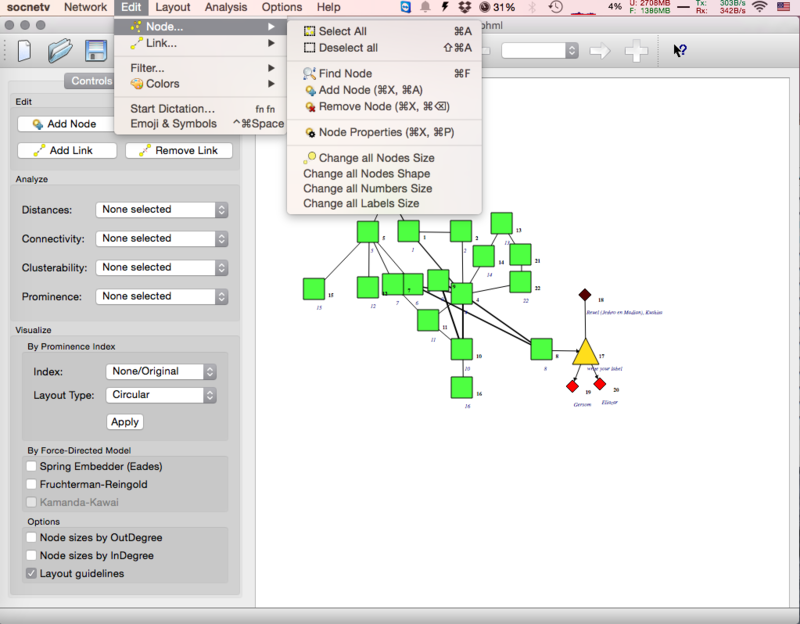 So, v1.7 brings a nice Node Properties which incorporates all different operations in one place. 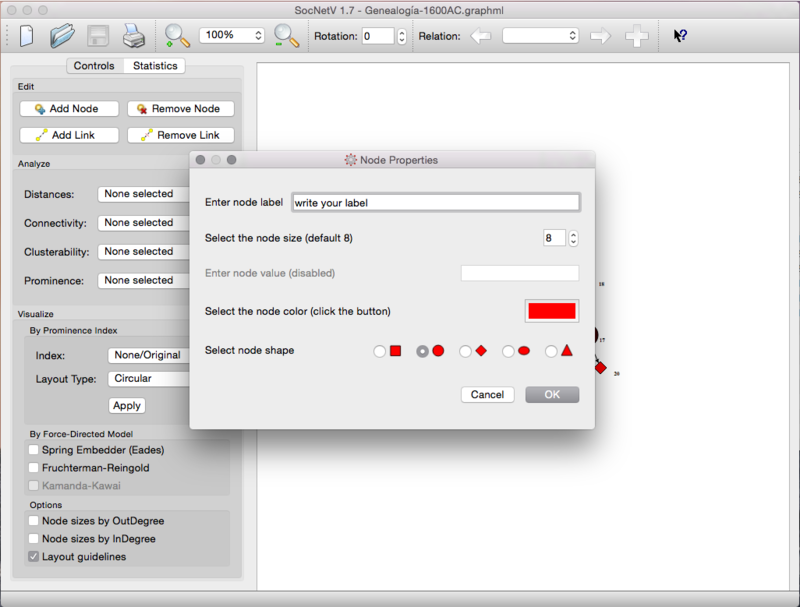 Just right click on a node and select Node Properties (Ctrl+X, Ctrl+P for key-junkies) to bring up the properties dialog. A handy new feature is also the ability to select and edit nodes in groups. 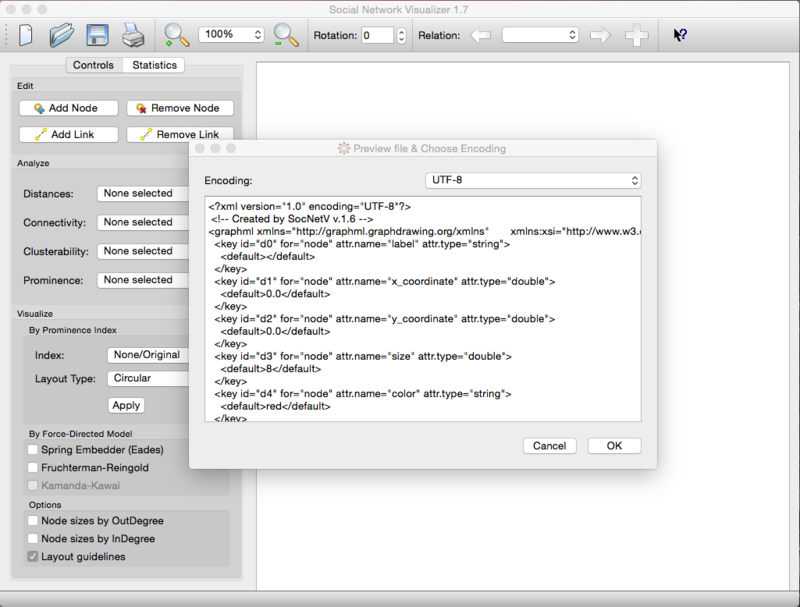 This means, that nodes can be selected by left clicking on the canvas and holding while dragging to create a selection rectangle. 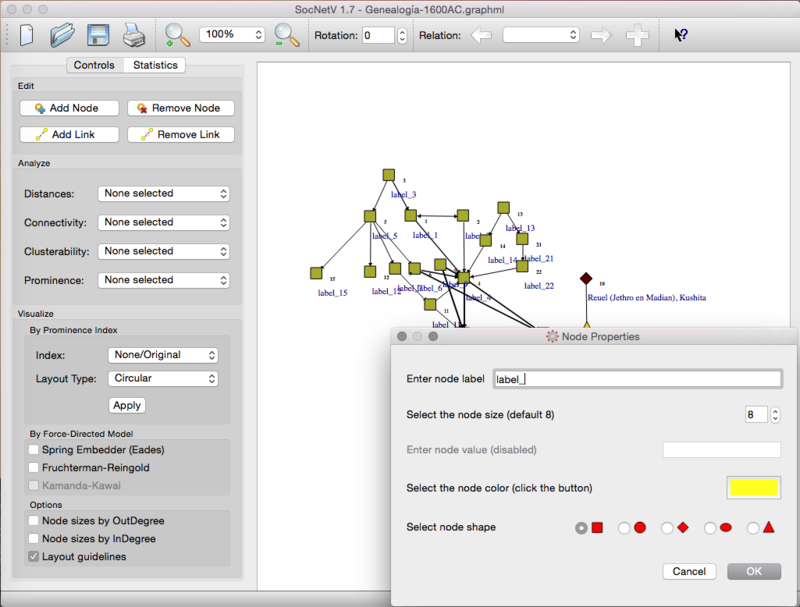 All nodes inside the rectangle are thus selected and can be edited at once. Just select some nodes, and right click on a selected node or somewhere on the canvas, to open the context menu. 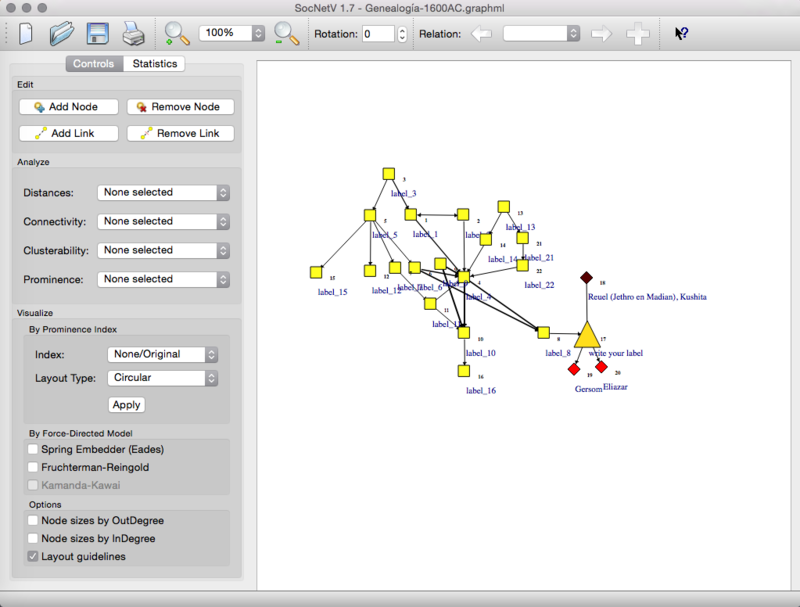 From there, select Node Properties. 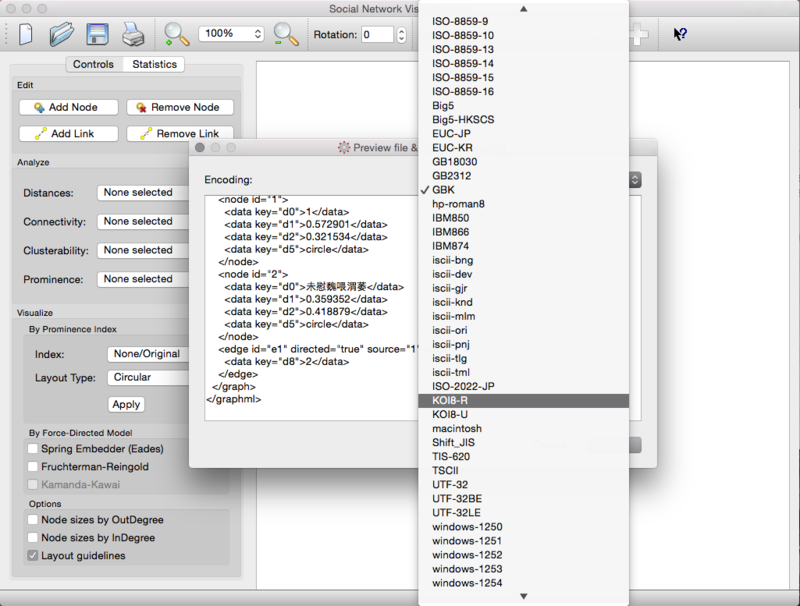 Note that the context menu informs you how many nodes you selected to edit. 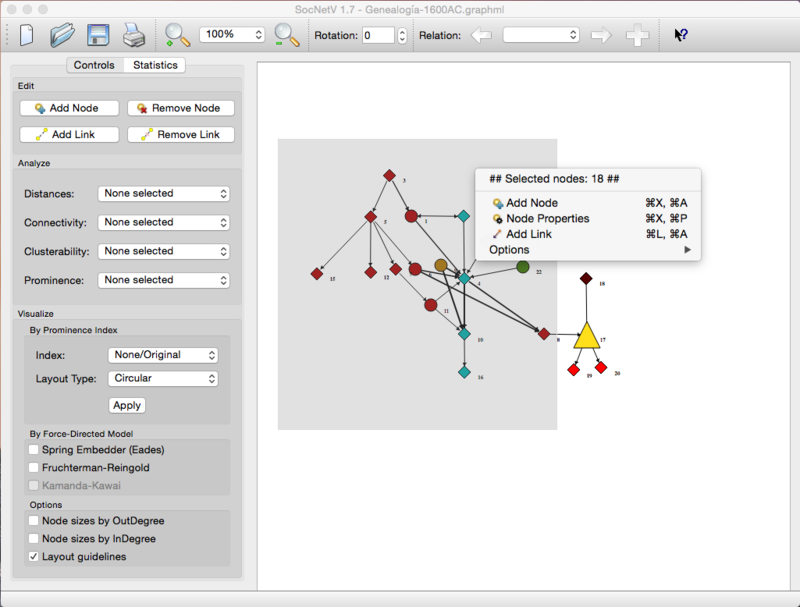 The group Node Properties dialog is identical with that for a single node. 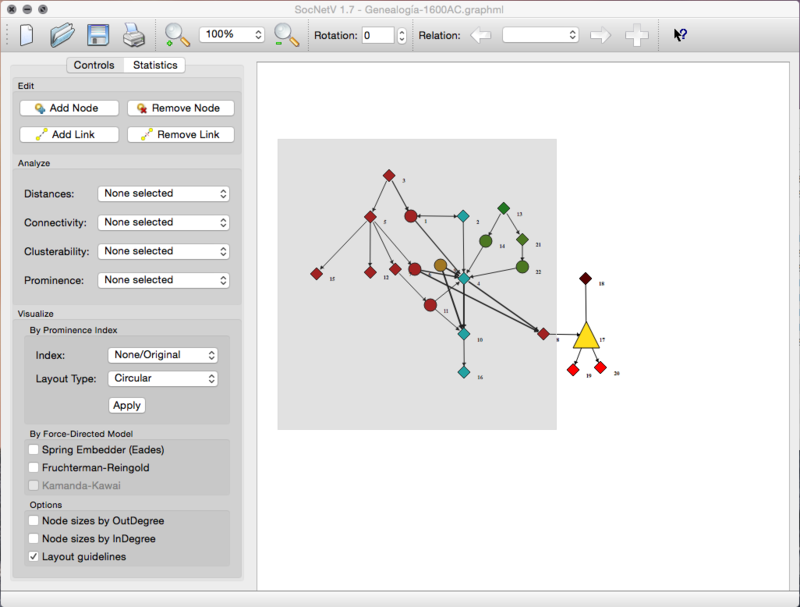 Labeling multiple nodes at one? Yes! The only thing you have to note is that when you enter a label for multiple nodes, SocNetV will suffix it with the "nodenumber" of each edited node. A very useful new feature in SocNetV v1.7 is the Network File Previewer. Did we need something like that? Yes we did! Due to the different codepages used by the Windows, Linux and Mac, a network file saved i.e. in Windows containing non-Latin characters (such as é or some curillic кЧДЛХКЮ) could not be loaded by SocNetV because the program always tried to read and write in the OS locale codepage (note that from this version all loading and saving is done in UTF-8). Furthermore, a bug in GraphML writing function meant that SocNetV always used UTF-8 as Document Encoding, even when the file was not UTF-8. The solution offered from this version is this nice File Previewer which by default appears when loading any file. With it, the user previews the file in many different encodings to find the correct one, namely the one where all characters appear as they should. By pressing OK, the file is loaded and the network is displayed on the canvas. Linux and Mac users should always use UTF-8, except when they try to load files saved in Windows computers. Windows users should probably use Windows-1253, except when they want to load files saved in Mac/Linux or files containing non-latin chars (i.e. Russian). Russian Windows users should probably use KOI8-R encoding. By default, UTF-8 is used for writing files. 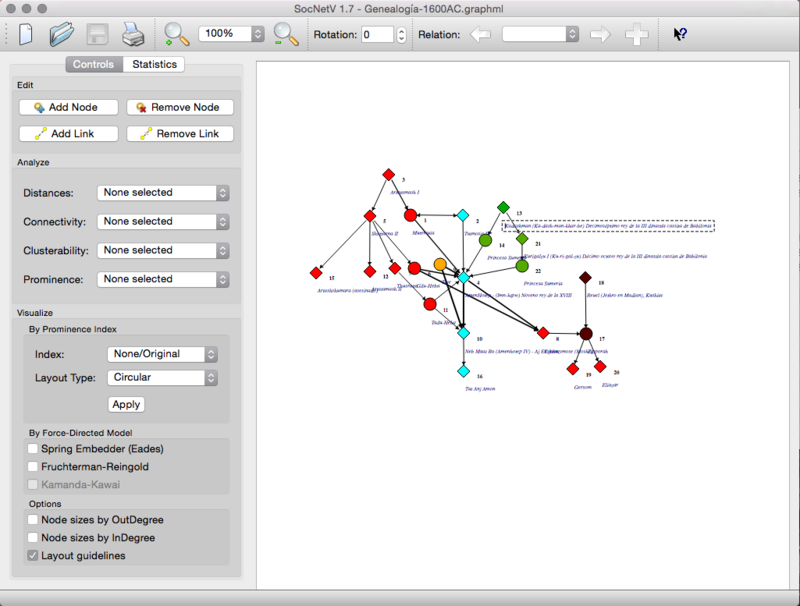 This means SocNetV by default uses UTF-8 codec for all input and output textstreams, such as network files. That's all for now. Hope you enjoy v1.7 and stay tuned for the coming versions. In case you spot a bug in v1.7 please report it here. We would also like to hear new feature requests from you! If you have something to propose or ask, visit our 'blueprints' listing and add your own request.